Track symptoms, medication and more. 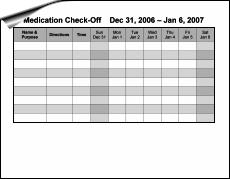 Use this chart to track medication usage during the week. 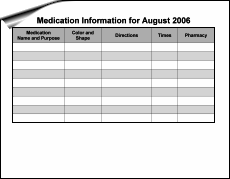 Record information on medication for each day of the month. 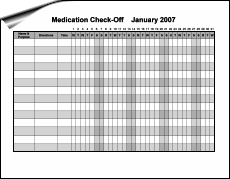 Complete the chart for each medication you take, including any over the counter medications. Then, use it as a general reference for taking your medication. 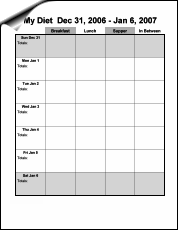 Track your weekly meals and totals. 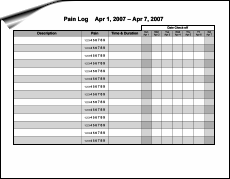 Use this chart to track your pain during the week. 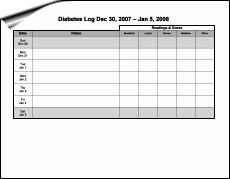 Use this chart to track your diabetes during the week. Use this chart to track your vitals during the week. 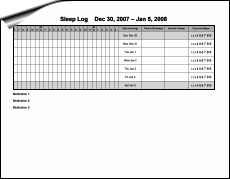 Use this chart to track your sleep during the week. Need a format that's not here?